Welcome to my blog!! 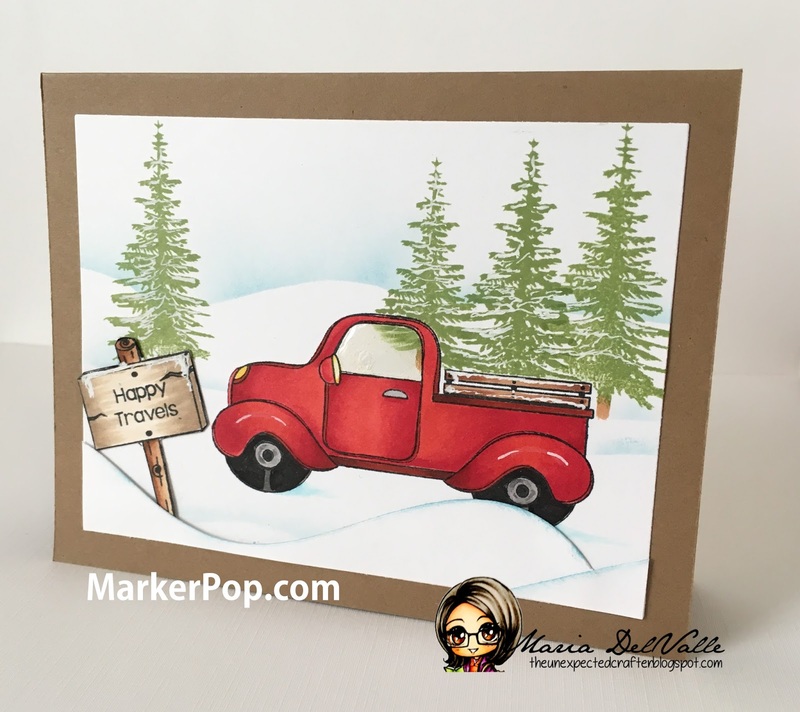 Today I wanted to share this fun project I made which I entered into the MarkerPop Winter Challenge! Winter is still here and I was inspired by all the snow I saw in a visit to Tennessee and North Carolina where we saw tons of snow, mountains covered in snow and majestic white landscapes!! But now, on to my project! Please subscribe to my blog for more crafting and coloring fun! Maria, love the coloring of your truck. Great scene and background. I have tried to email you twice for the Crafty Sentiment Challenge and it has come back to me as undeliverable. So I will leave my email here. Oh I am sorry. I sent you an email! Don't know why my email is not working. But I sent you an email and it should work well now. Thank you!